Are you doing some serious spring cleaning? Here’s a product that will help you out. 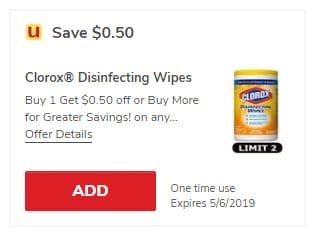 Head over to Safeway grocery stores where Clorox Disinfecting Wipes are on sale for $2.49 each through April 16th. 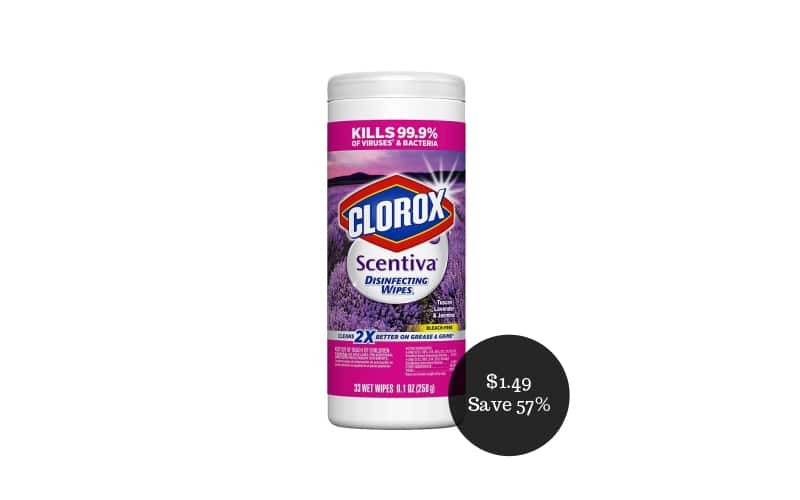 For the lowest price, use the printable $0.50/1 Clorox Scentiva Wipes printable coupon. After it doubles to $1.00 at the register, you’ll pay as low as $1.49. That’s a savings of up to 57%! 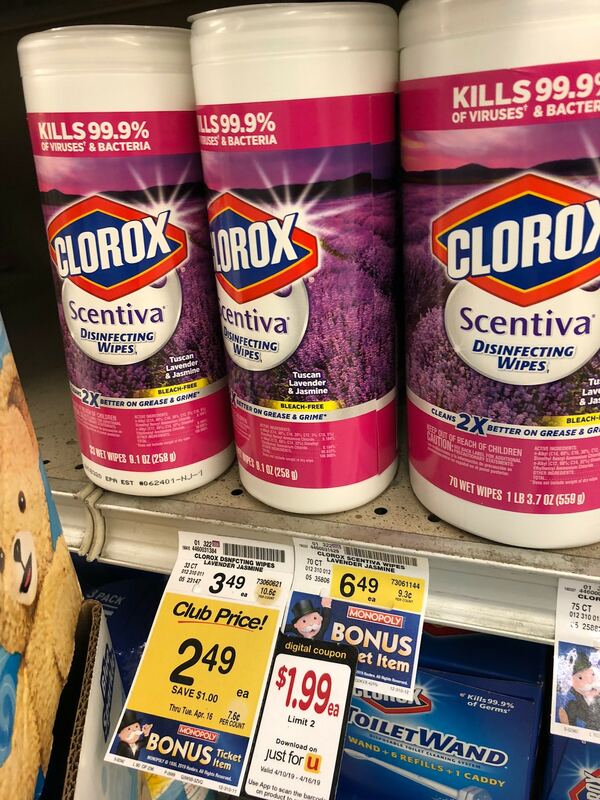 Final price = as low as $1.49 for Clorox Scentiva Wipes or $1.99 for other varieties, save up to 57%!